We are committed to open source, as we strongly believe in an agile approach of software development. Open source is at the heart of our business. The freedom, flexibility and fairness of an open source ERP project, combined with agile development of our corporate software, allows us to work efficiently to provide our customers with added value. During the last years, open source ERP systems have made a great leap forward and constitute real alternatives to ERP solutions of proprietary software providers in terms of functionality, flexibility and efficiency. For us, it all began ten years ago. The open source ERP project ADempiere (www.adempiere.net) was founded and, along with some of the first ADempiere community members, we prepared the ground for the work to be undertaken together. We participated in the development of ADempiere ERP from the very beginning. Together with a small group of community members, we founded the ADempiere e.V. association with the aim of securing funding for the project. The ADempiere community is made up of various innovative software enterprises that implement ADempiere within the framework of their own customer projects and present the improvements or developments to the community. With more than 1 million downloads and community members from over 50 countries, ADempiere has now become one of the most successful open source ERP projects in the world. Many community members come together on a regular basis at the ADempiere world conference in Berlin every 2-3 years in order to discuss functional and technical issues in more detail. We started to develop metasfresh, our own open source ERP software, as a distribution of ADempiere in order to gain independence from ADempiere ERP release cycles within our customer projects. Together with our metas test team, we introduced the performance of end-to-end test procedures to secure the high quality of our releases. Short development cycles in terms of weekly releases enable our customers to exert direct influence on future developments. The rapid pace of innovations within the framework of large open source ERP projects as well as the very short development cycles represent a major competitive advantage for our customers. Using a powerful open source ERP software can result in an improved profit margin for the relevant companies by significantly reducing royalties and at the same time increasing flexibility. For companies using a software solution such as ADempiere ERP or an ADempiere distribution such as metasfresh ERP, the huge community represents a considerable reduction of vendor lock-in, given the large number of community experts available for professional services. Open source / free software is a concept originated by Richard Stallman in the 1980s when he launched the GNU project. Today, it is established in numerous modern companies and its distribution is increasing thanks to its significant advantages. 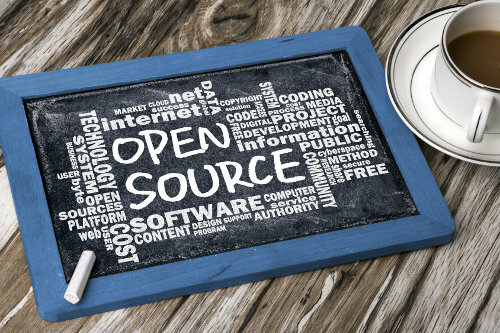 The quality of open source software is a matter of course, as the disclosure of the source code enhances the developers’ dedication to providing high-quality codes. Nowadays, open source ERP software is becoming more and more interesting as a real alternative to proprietary and royalty-based ERP systems in terms of quality and performance. metasfresh, just as ADempiere, is developed under an open source license (GPL v2). The software can be downloaded free of charge.